Since I am working on Xmas eve ..... so I am off on NYE thanks to my boss for this arrangement over the years! Papa called and asked me if I could help him to change SIM card as his son gave him another phone and the old SIM card cannot fix into it. 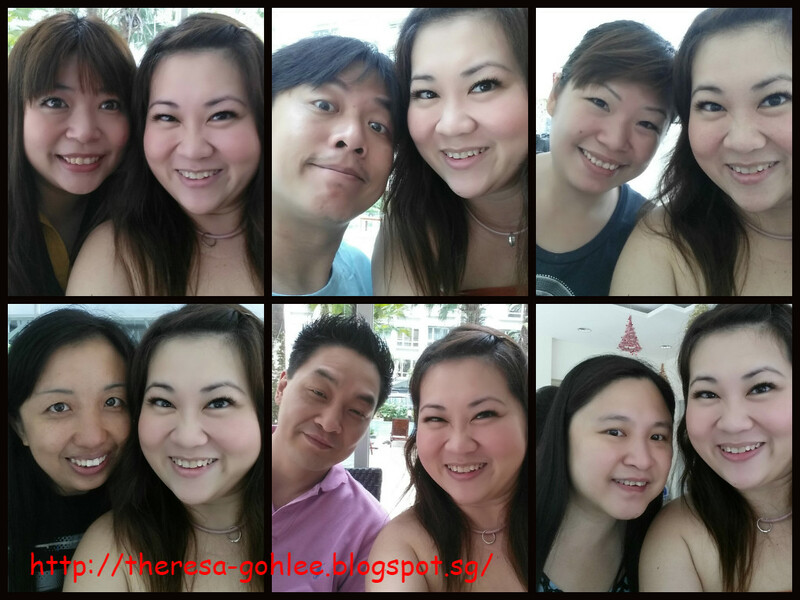 So Alyssa and myself went to pick up his phone and had lunch with him and Mama before heading over to get our hair snipped first then to M1 at Bugis the nearest store we could get to. 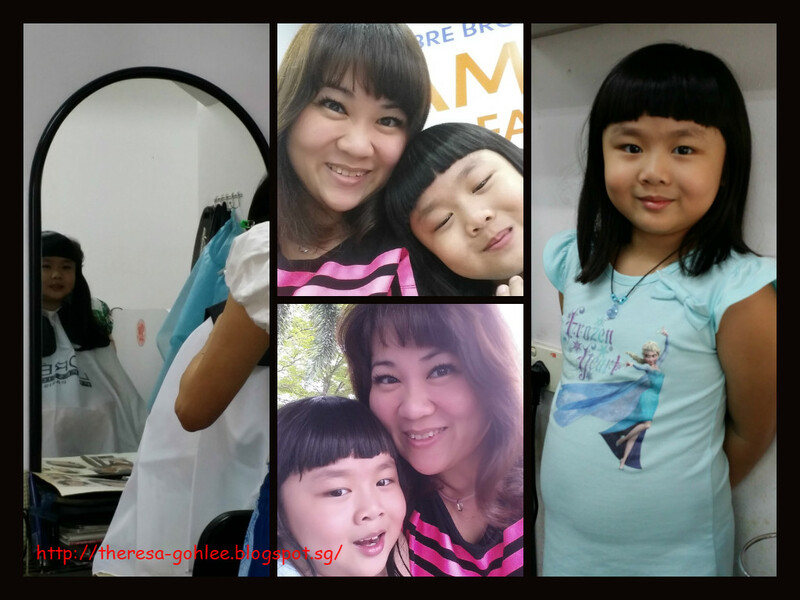 Alyssa decided to snipped off that long hair of hers till shoulder length to me is harder for me to tie with that length but I cannot say anything cos I asked her to decide on her own but she really look cute with shorter hair! After the hair cut we headed over to M1.... the queue is really a madness ......I waited for about close to 2hrs just to get the SIM card done! Walking on sunshine? I guess more likely walking on moonlight! Goh came over to pick us and we headed off home to rest before going over to The Seo's place for dinner. Doing a mini NYE's dinner together. 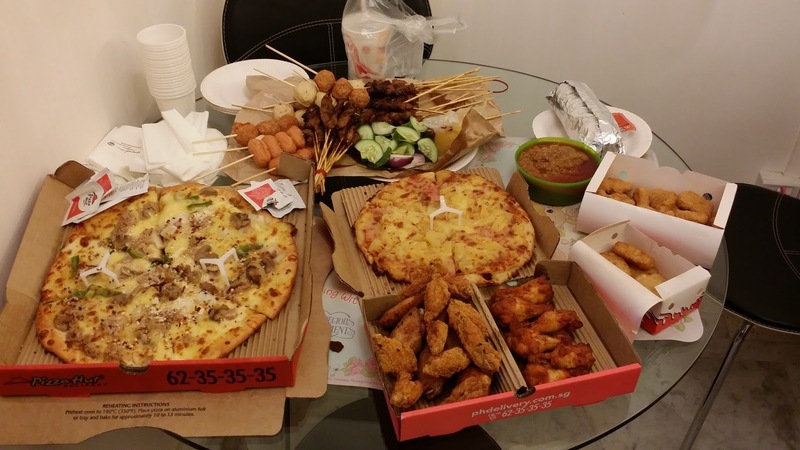 The Seo prepared Pizza, some finger food and of cos drinks for us while I get some satay, sotong balls and sausage. 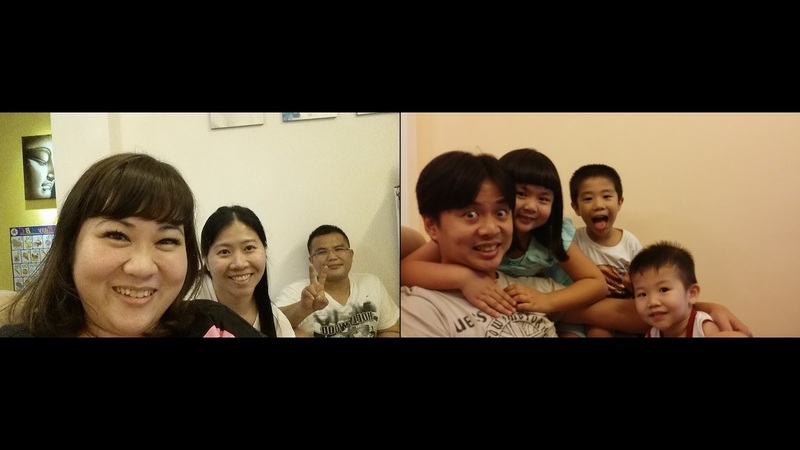 The kids extremely happy after their meals off to the room to play their toys while the 4 of us chat all night long with Jordan playing some retro mandarin songs and bringing back memories! At 0000 fireworks started and it boom and shine up in the dark sky .... beautiful! 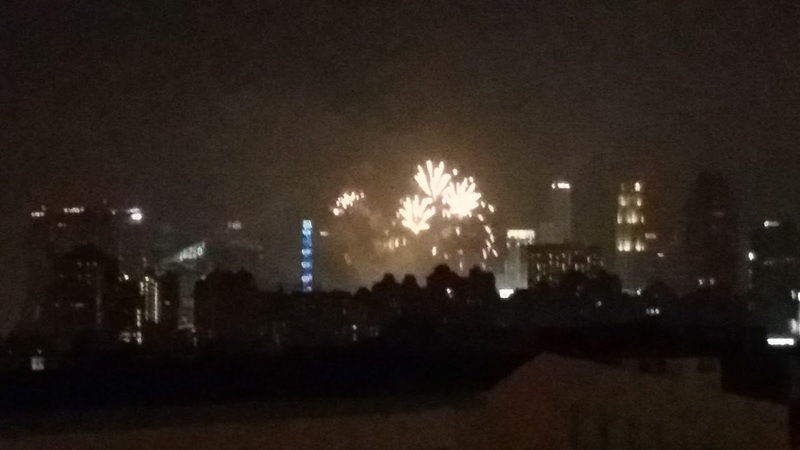 Neighbours from opposite blk shouted Happy New Year so loudly and of cos we shouted back and wishes them. Had a great fun with The Seos great night spent with them! Hereby wishes all a Very Happy New Year! 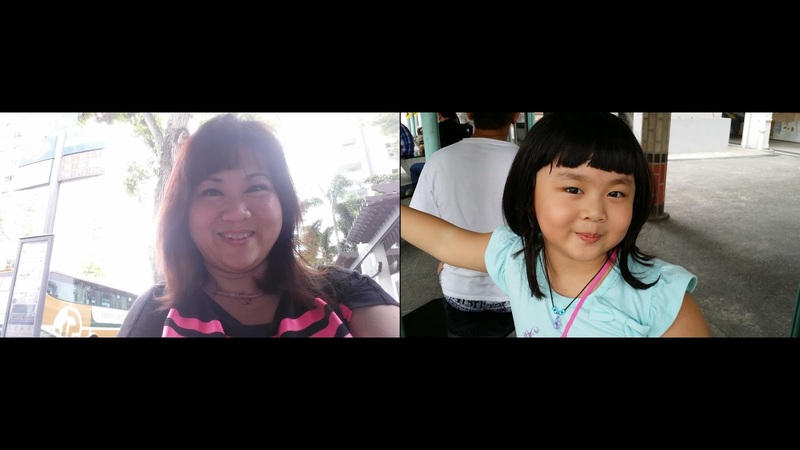 Nua-ing at home today with my baobei till evening we head to Parkway for a short walk while waiting for my Cousin Pauline to knock off as we heading to AMK Gim Tim for Grandma's birthday. 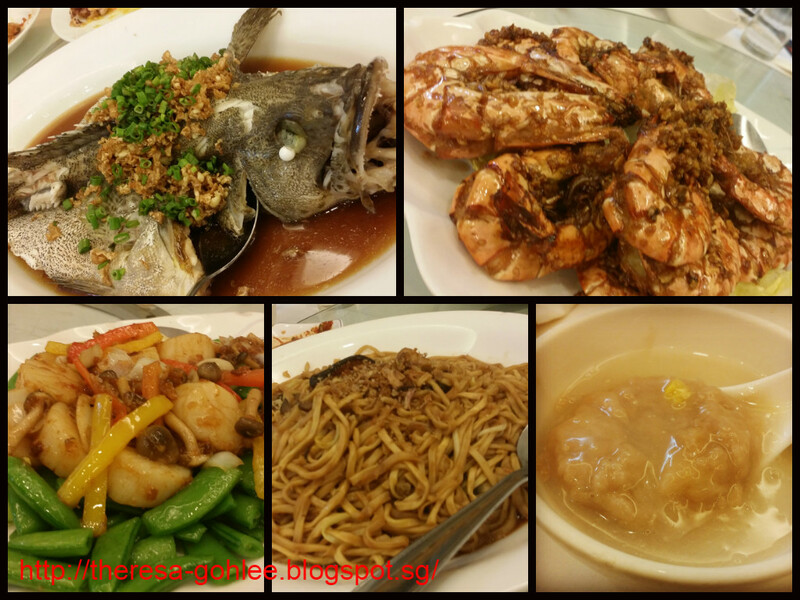 Dinner start at 8+pm started with Shou Tao I get to eat 2 cos Missy dun like it haha .... and follow by cold dish, shark's fin soup, fried chicken, steamed fish, prawn, scallop with sweet peas, noodle and lastly yam paste. Took half day leave today and after today I will only get back to work on 12 Jan! 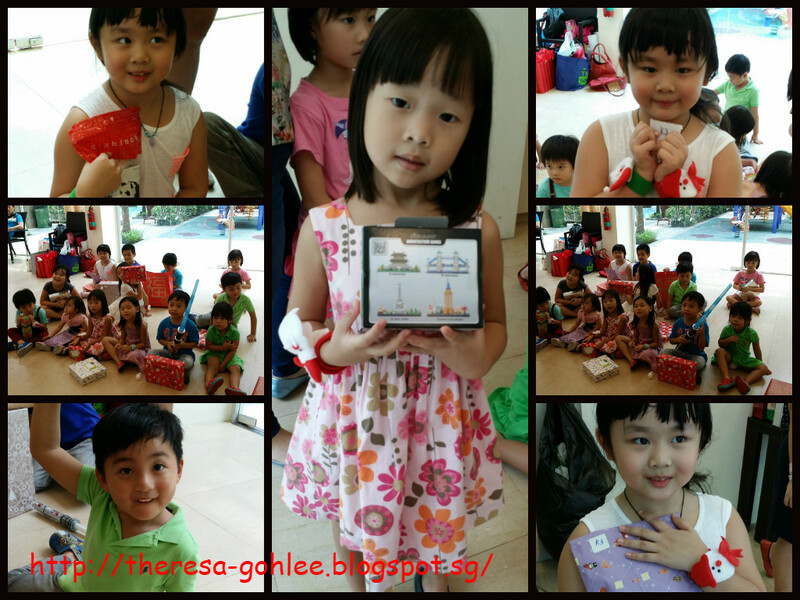 Super long leave cos I wanna clear my childcare leave before Missy turn 7! So I booked for Mani and Pedicure as well nice to rest and relax! Alyssa told Sandy (my Manicurist) that she wanna cut her nails too cos school is opening soon. This little girl wait till she fell asleep cos I took about 2hrs to finish mine ..... so do you think she look like a tai tai? 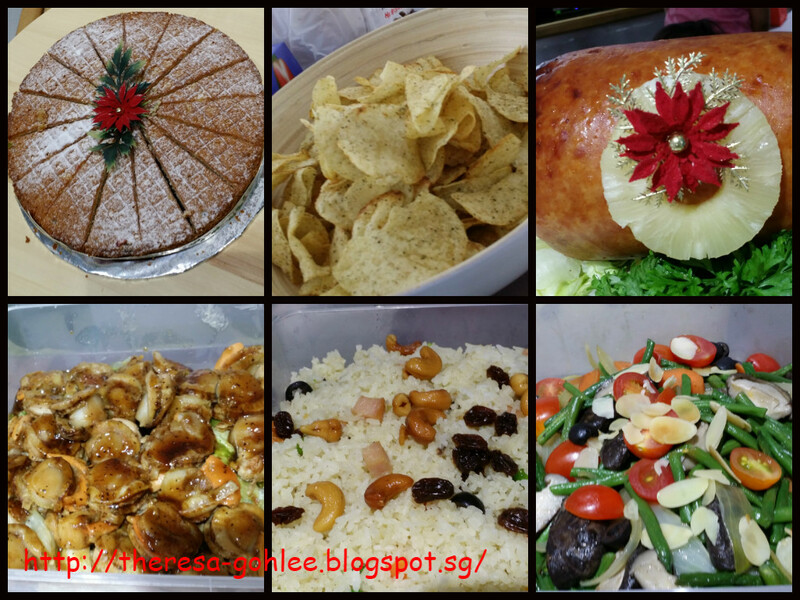 Is our annual xmas gathering and thanks to Hazel whom host it again this year! As usual all of us do a potluck for the event. As for me I in charge of drinks cos I really run out of ideas what to cook or made. We were among the early birds so I started to mix some drinks and also to have all drinks put into the icebox to chill it. Most of them arrive and we started to feast again. 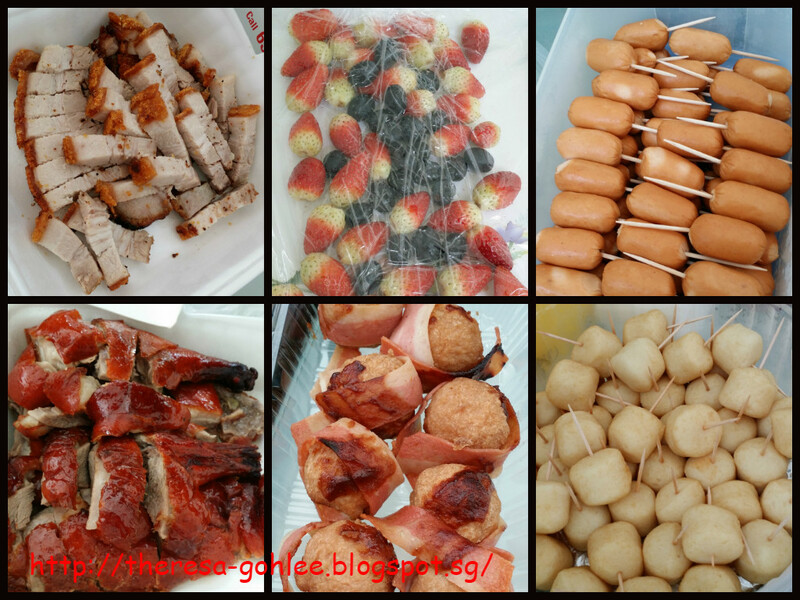 EL brought fishball and sausage and both my favourite! 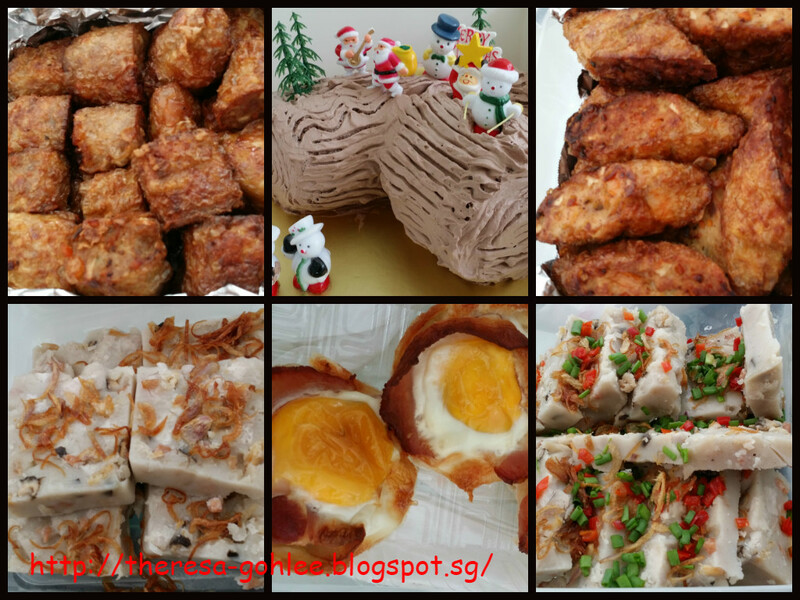 PL brought cheesy chicken ball with bacon, banana nutella and bacon cup. 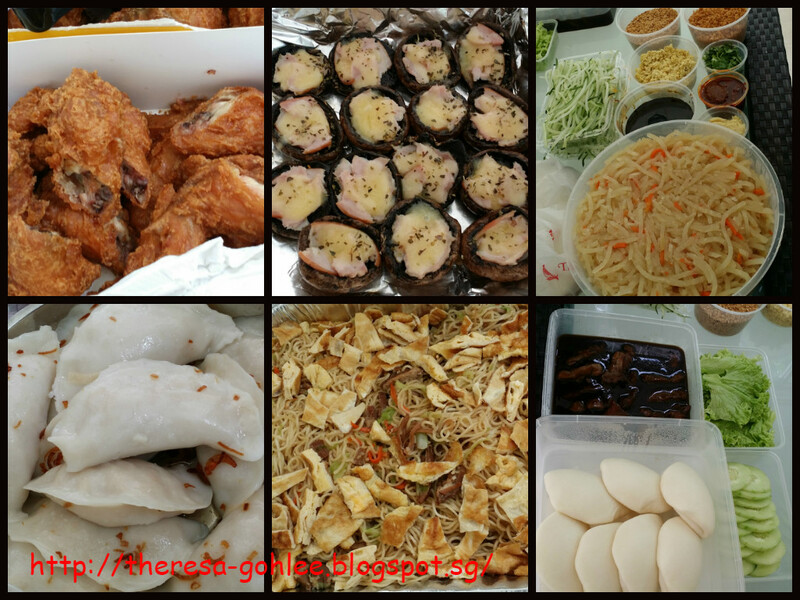 Hazel order chicken kong bak bao and popiah from Fortune food I love it very much use to order for Mother's day with my in laws. Kids have their gift exchange first and of cos they are very happy about it .... Missy got a nano block and is from Hazel ..... she always get Hazel's present and we love it! 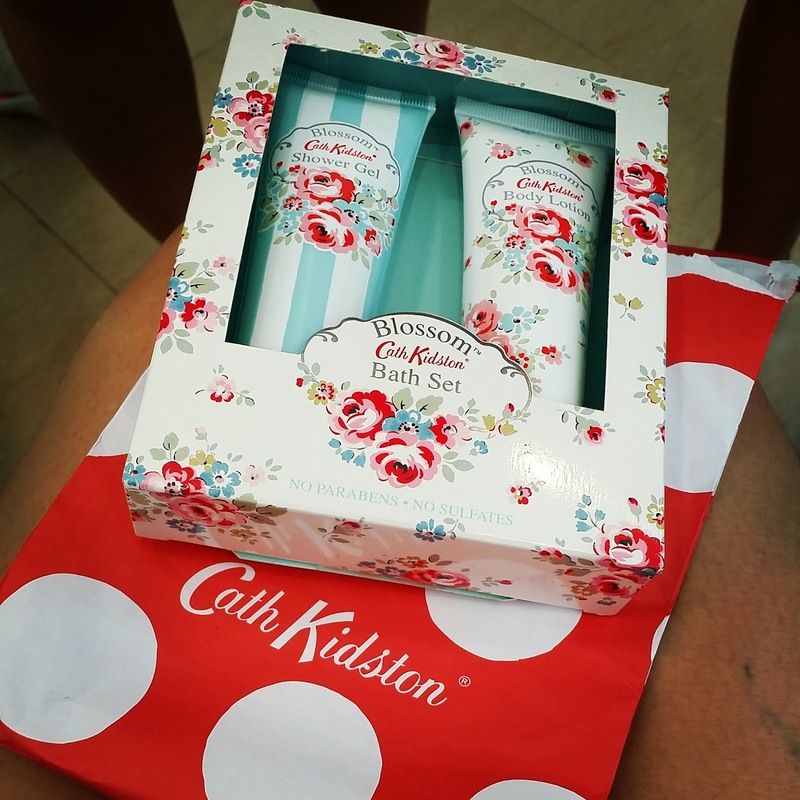 For me I got bath kit from Cath Kidston and is from Sam .... think about it I also always get her gift and I love it! 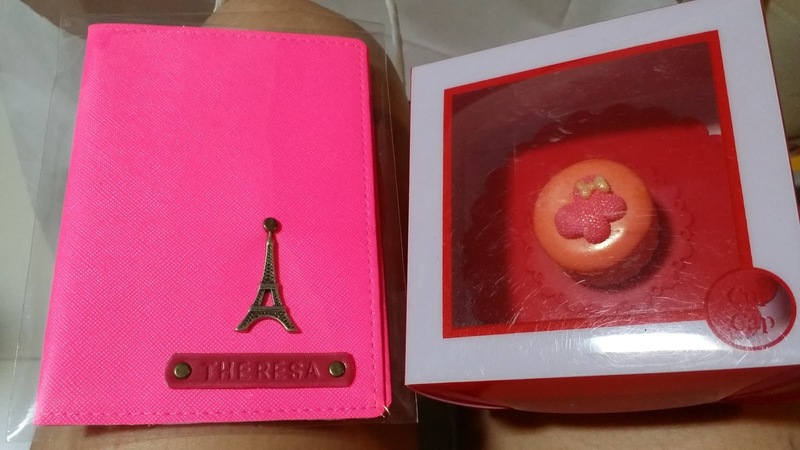 Thanks to AL & EL for the early xmas gift to me hot pink bag (sorry forgot to take pic) and customized passport cover from PL and thanks to Janice & YH for the cup cover is very sweet! Toast to our friendships ..... many more years to come! Papa called me and happily telling me that he strike lottery and naughty me just casually say must treat me eat dinner hahah and Papa say ok! 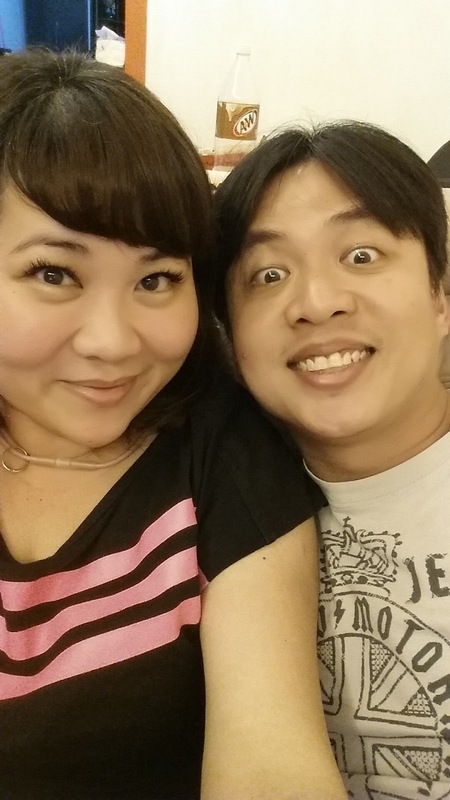 So he set this evening and yes we went to Thien Kee Steamboat again hahaha though I dun eat many of the food there but I enjoyed it very much especially the chicken rice I like it very much! Thanks Papa for the treat! Yummy! Goh was activated to help his Papa to do delivery cos worker is sick so total 3 delivery to be done today so Alyssa and myself went to check out East Point Mall. 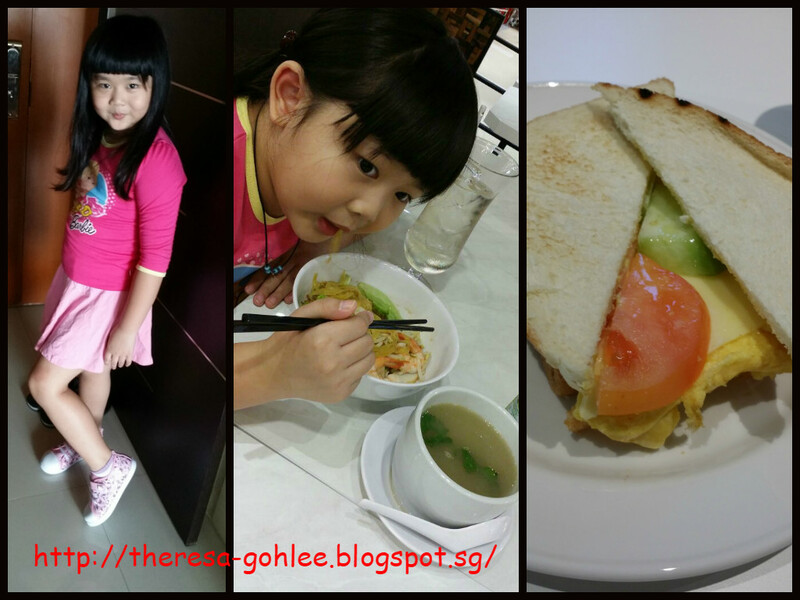 Little missy always love noodle and asked to have noodle just nice when we went basement OKG express is there so we settle our lunch there. She ordered a noodle and a pig's stomach soup to go along really enjoying! For me I just ordered their curry chicken cos is my favourite especially the old school taste! Walked around the mall and also had teabreak there when we are done Goh still not ready so we headed home buying quite lotsa stuffs from Daiso. Goh asked me what I wanna eat I tell him I feel like eating something he dun like - steamboat! Cos he will always say is easy to fill his stomach and is easy to be hungry again. 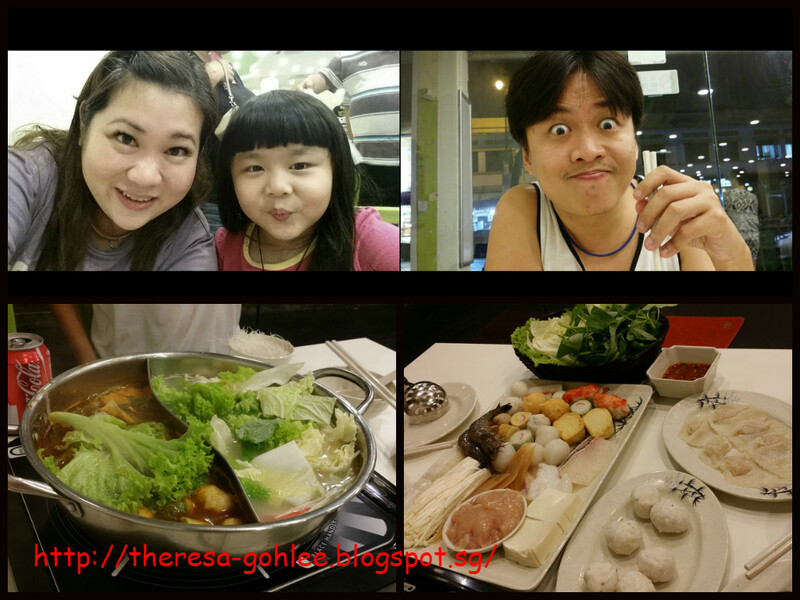 Just when we turned out of carpark it started pouring heavily just nice for a hotpot dinner! 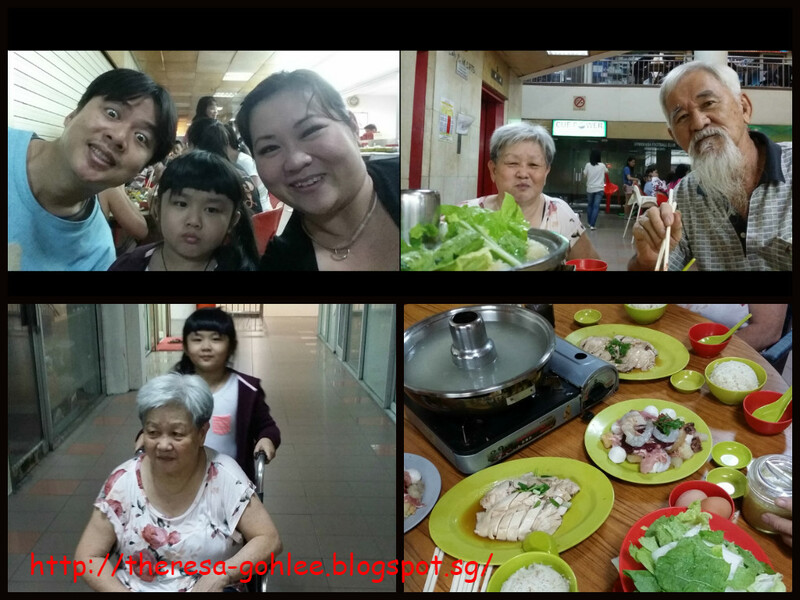 We went Tanjong Katong to try the Parkway steamboat I heard some instructors whom went commented that is expensive, When I stepped in I saw the lady boss whom actually mending the one at Roxy Square. Last time due to some dispute they actually split business and mend each other stall by themselves. But Yuki told me when she visited the one at Toa Payoh they actually advertised for the Katong side so when I take a closer look at their name card I think now they are ok already. We ordered 2 pax set which consists of veggie, meat, some balls and seafood and added some Alyssa's fav fish dumpling and sotong ball to go with it. We have 2 soup base - tom yum and chicken I love their Tom Yum but I feel here the soup base not that nice as compare to the one at Toa Payoh. 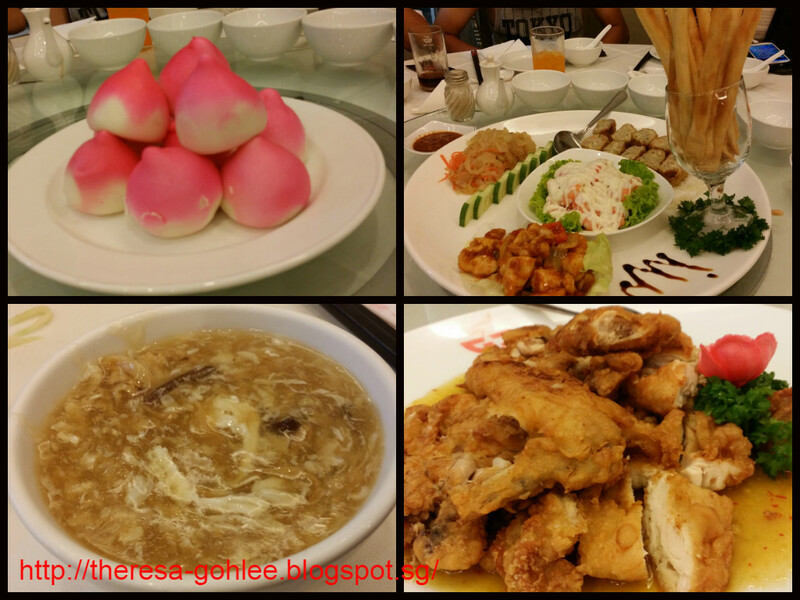 The meal cost around $65+ including drinks we ordered I still find quite ok and is able to fill my stomach but if I were to go I will travel to Tao Payoh one for better soup base. 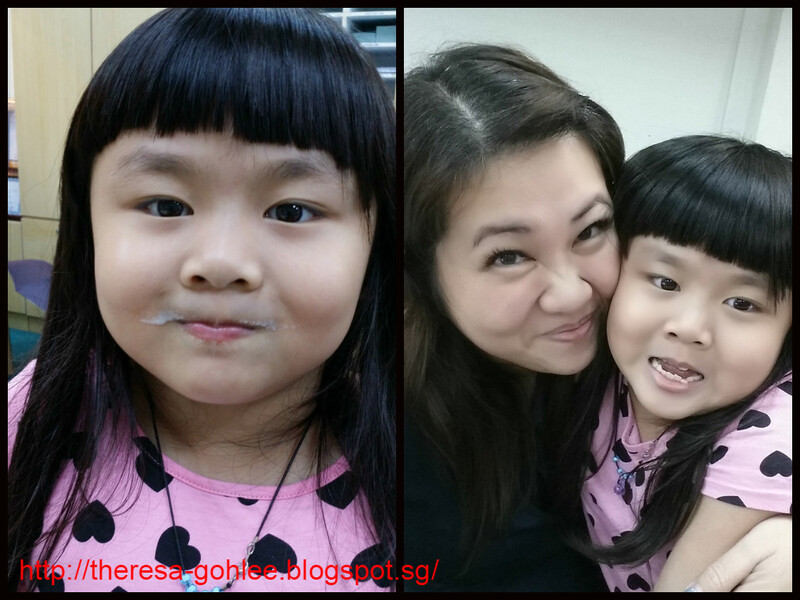 Alyssa super happy cos her bff's Parents wanna bring them to Legoland. So she woke up early and look fresh unfortunately is a rainy day! 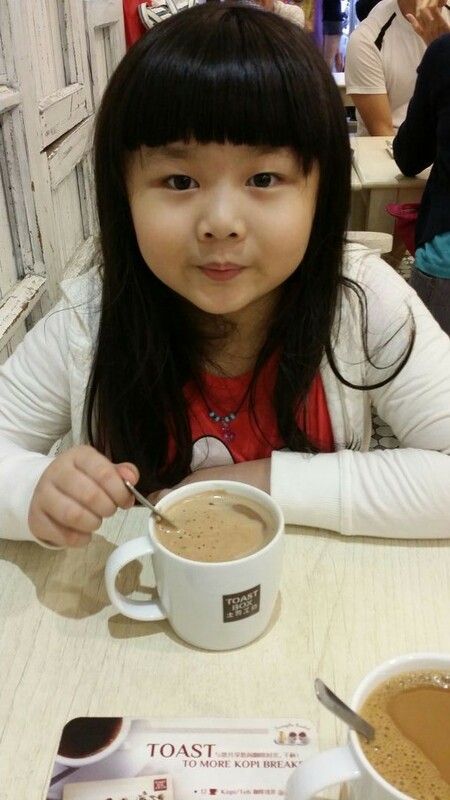 It was called off due to poor weather .... Abrielle's Papa called her sister whom is already at JB about the weather it was pouring. Poor baby ... but she understand and didn't fuss. Since Goh is not working so Alyssa will be with him. 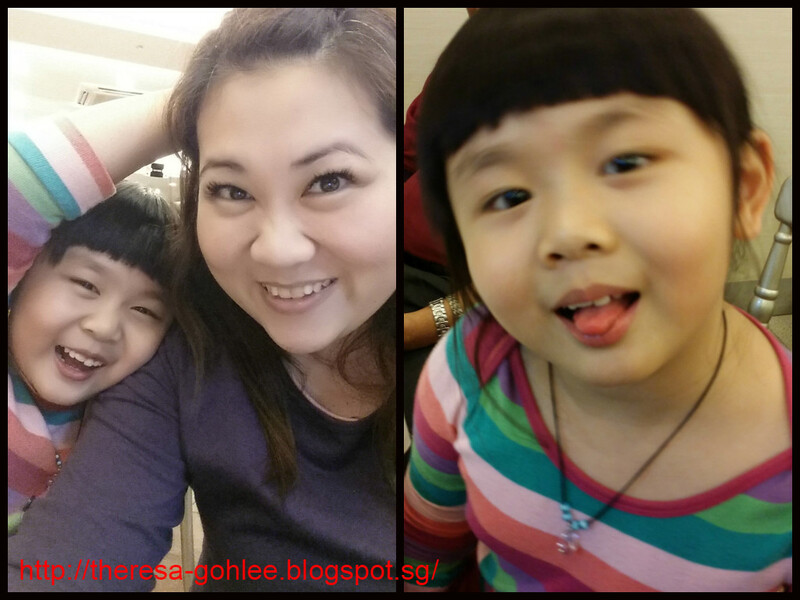 Goh brought her to Parkway for meals and bonding time for them! The 2 of them really enjoy to the fullest and they even bump into my bosses there haha .... and my blur boss thought I am with them (=_=)"
Half day of work and we went back home to do some packing and waited for Goh to be back cos he will only off at 3pm. 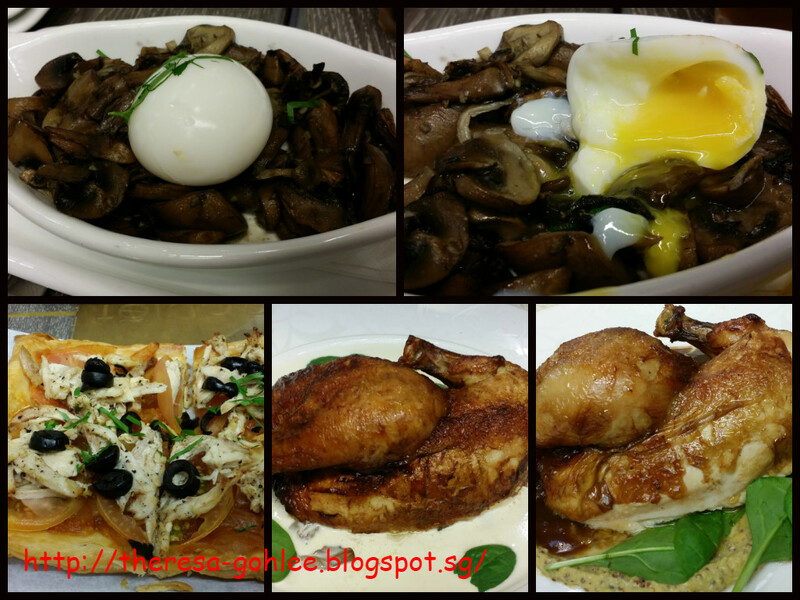 After we meet Mabel we headed straight to Coco's place at Seng Kang. 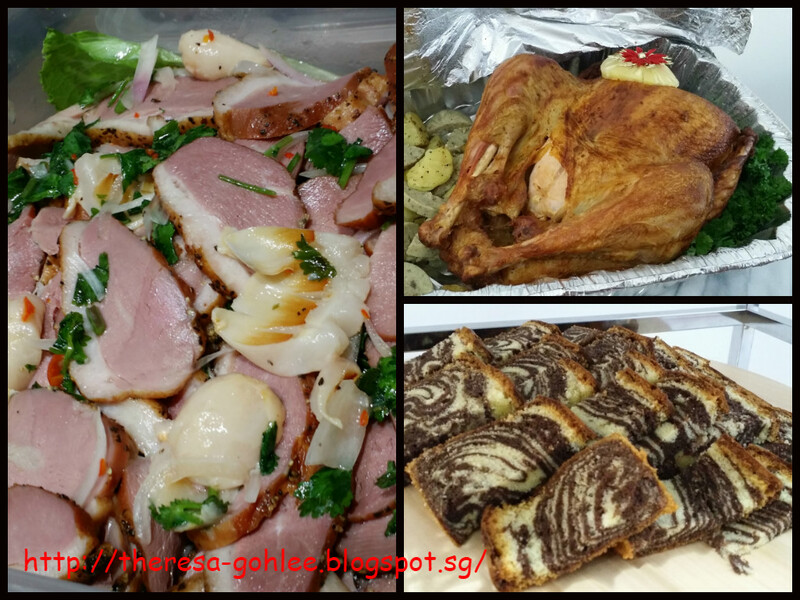 Just nice that the food arrived just before us and the hungry me started with some appetitzer first and attack all the main food cos baby cannot tahan hunger! 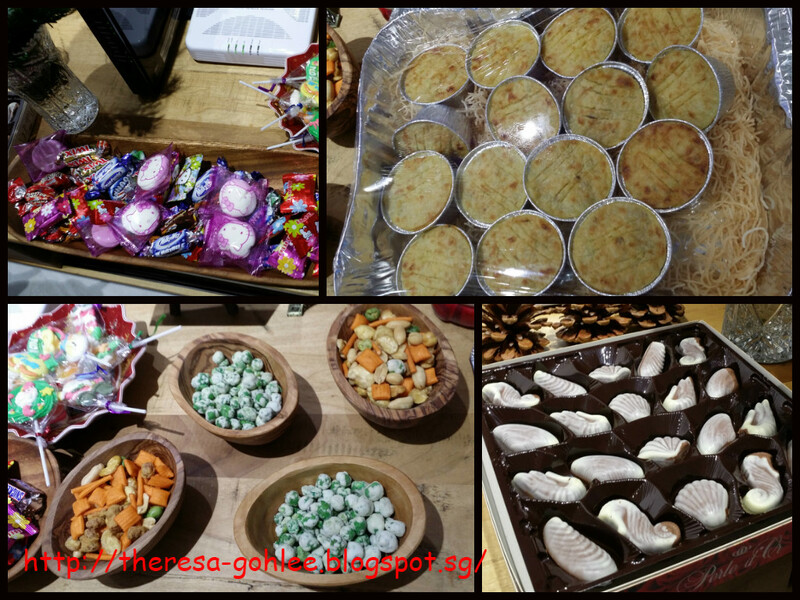 Coco ordered the food from Chili Api Xmas menu which served 15-20pax. Food was good so glad that there wasn't much food left! 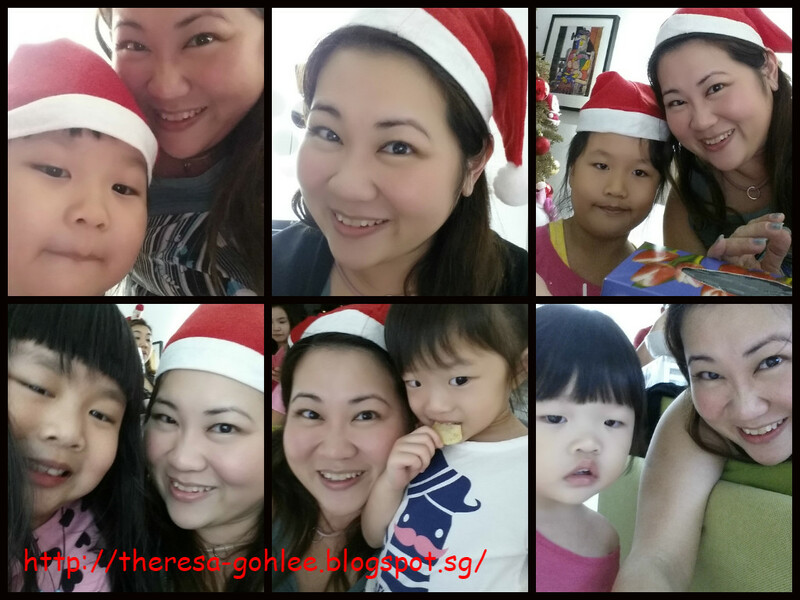 Fool around with the kiddos before we start MJ on special occasion ..... drinking, eating and chatting all night long. 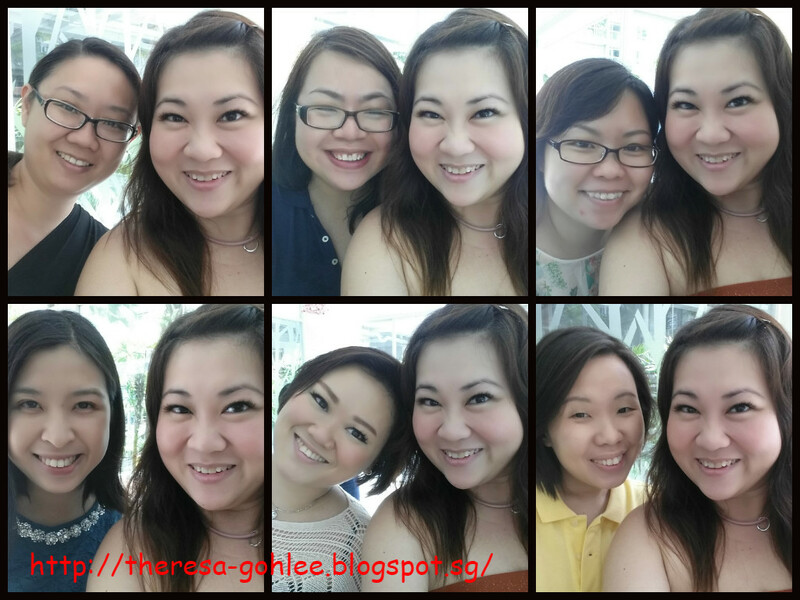 Had a great time with them cos is been sometimes since we last met! Merry Xmas all my dear friends! Made an appointment with Dr Heng at 4pm. 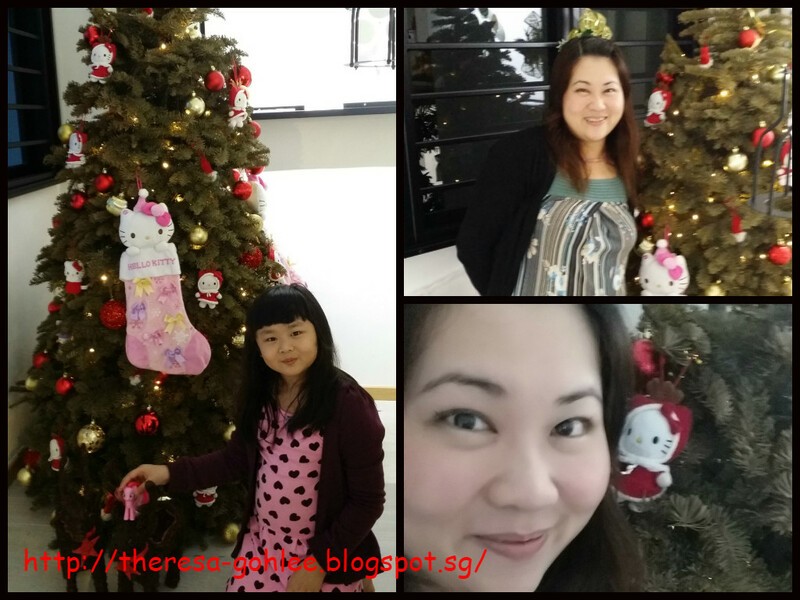 This is the first time I visit her new clinic last time they are located at Bedok just below Princess cinema cos of the rental they shifted out. This place is just located at Cassia Crescent is just below my godma's old flats how I wish she have not moved if not I could go up her place to rest haha .... well is a good location for me as well is near my house and office just that not really that accessible as in Bedok. First time when I stepped in and I am the only patient this is quite rare cos Dr Heng always have lotsa patient well I think cos of my late timing. But I do feel comfortable to see some familiar faces there too! Dr Heng greeted me and she was happy to see me haha .... and as usual I was asked to do the scanning. 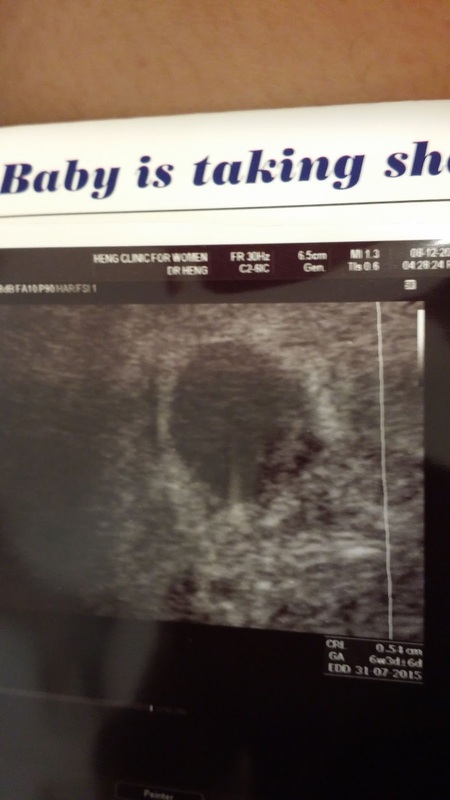 Little sac is being seen and she also detected the heart beat, Alyssa so happy to hear that and see the little sac that display on screen. Because of my age she suggest I do either the 2nd or 3rd cos I think I am on high risk too due to thyroid. Asked me to think about it and discuss with Goh. 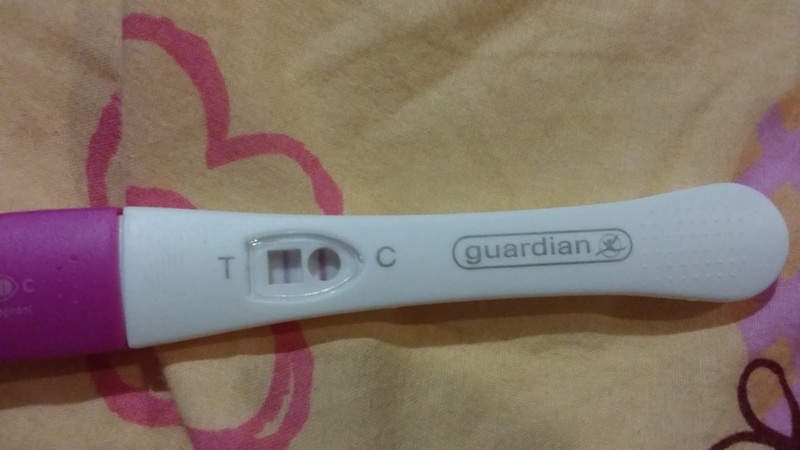 I really hope if I decide what to do the baby will be healthy if not I will terminate the pregnancy.